Well we have a treat for you today! 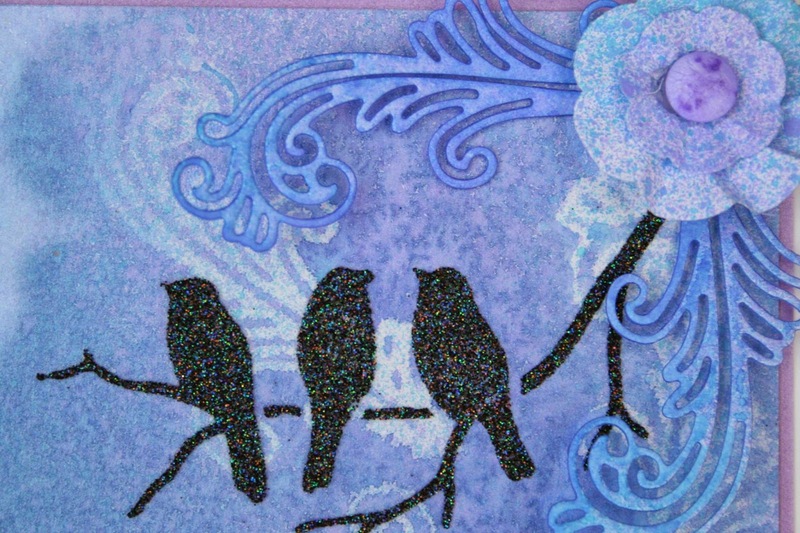 She will be demonstrating Sparkle Gel and Inkadinks. Our Sue posted these cards on Facebook while I was away so I have pinched them to add to the blog. 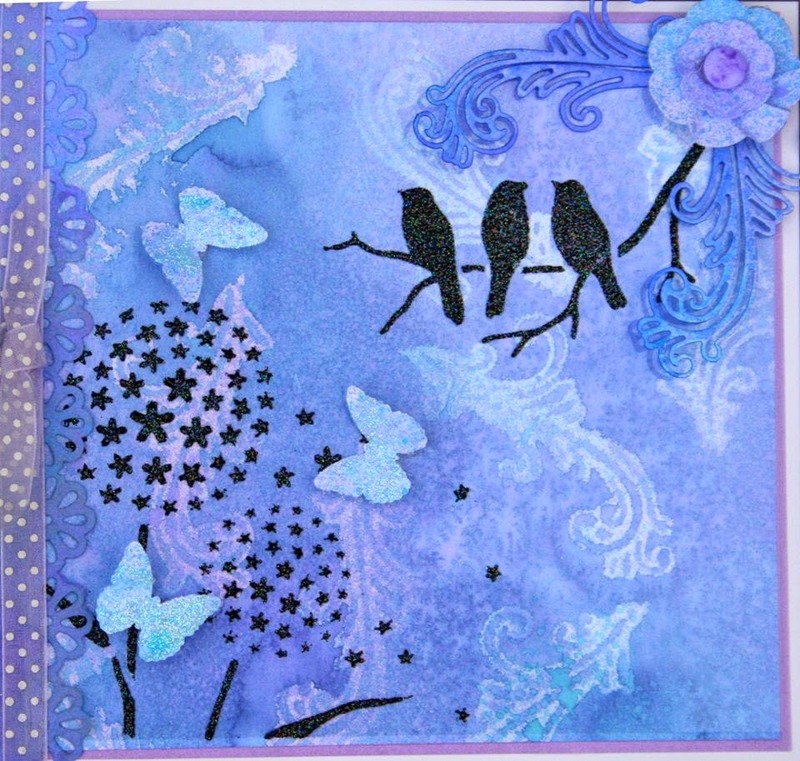 She has used an array of Imagination Crafts goodies which can be found here. Busy playing with Inkadinks and Sparkle Gel which will be making their appearance on C & C today. 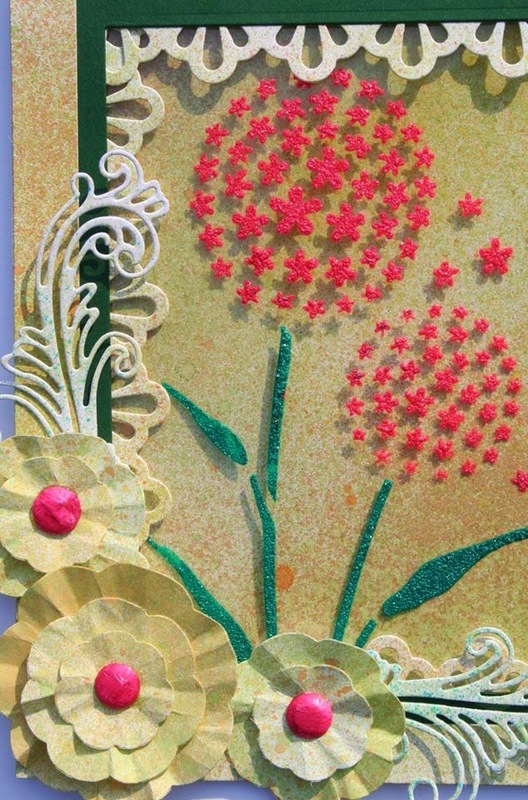 They spritz like a dream and you can use Inkadinks to colour fabric flowers - yummy!! 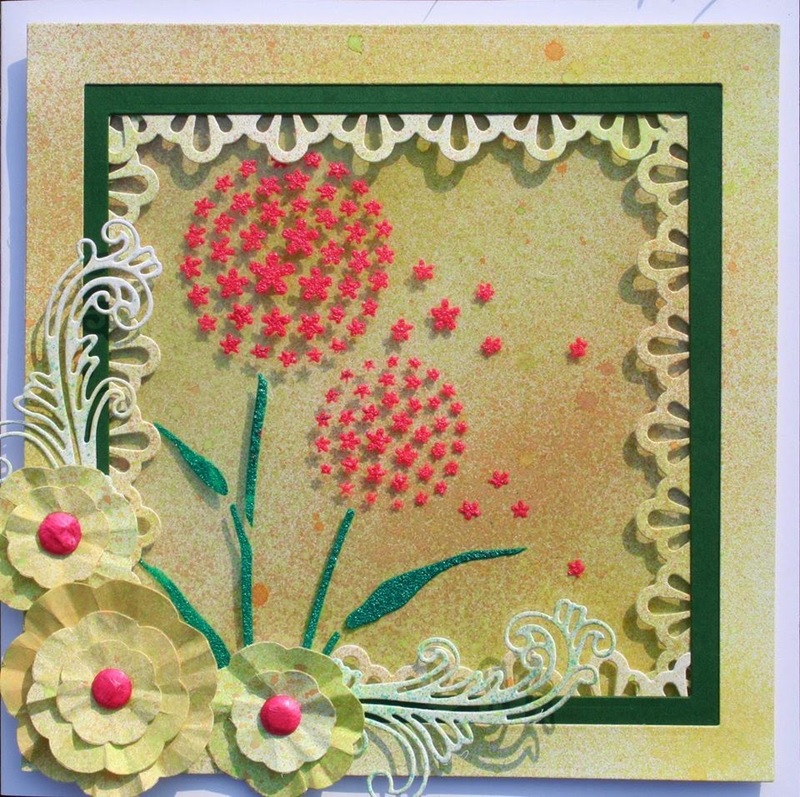 loving the Allium stencil designed by the super talented Tracey Dutton. Mixing Silkies ( Arabian Nights) with Sparkle Gel on acetate. I am loving spritzing die cuts. Very busy at Imagination Crafts HQ preparing for their show on Create and Craft on Friday. Today we have a tutorial by Mags. A beautiful Christmas card, I think we will all be making Christmas cards as we are only 3 months away. 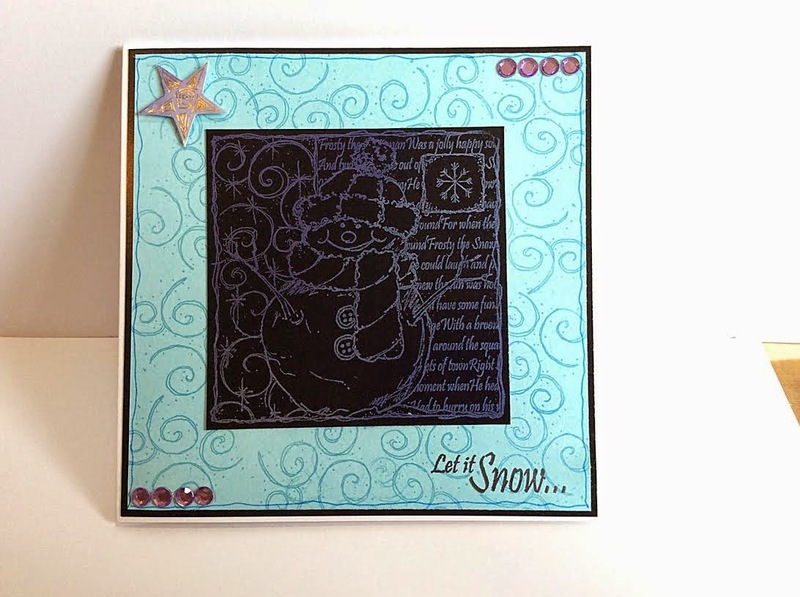 Using Versamark stamp the large snowman stamp onto black glossy card and sprinkle the mica powder over. 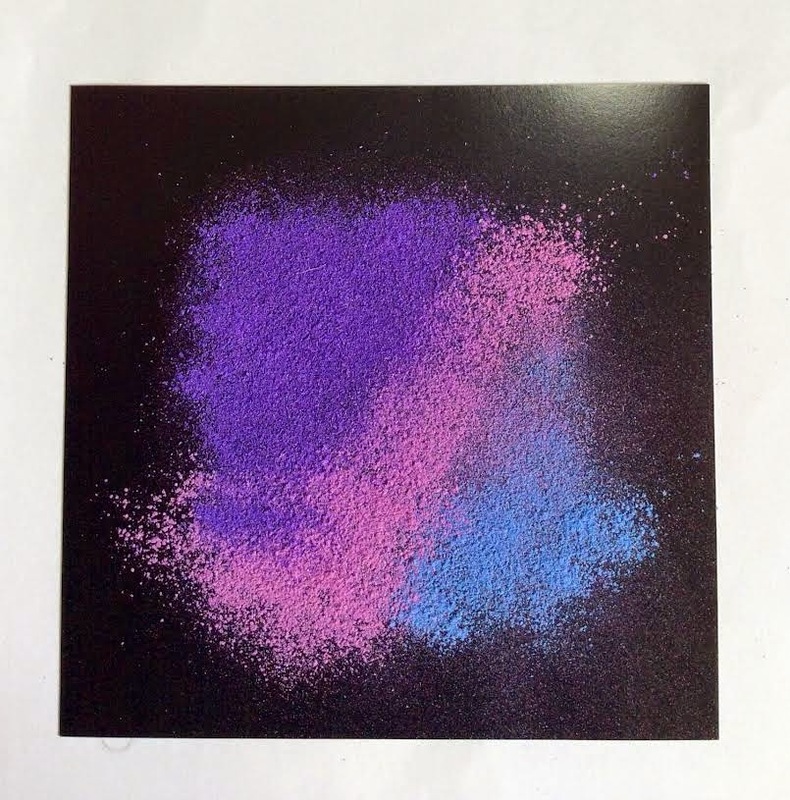 Dust off the mica powder to reveal the stamped image. 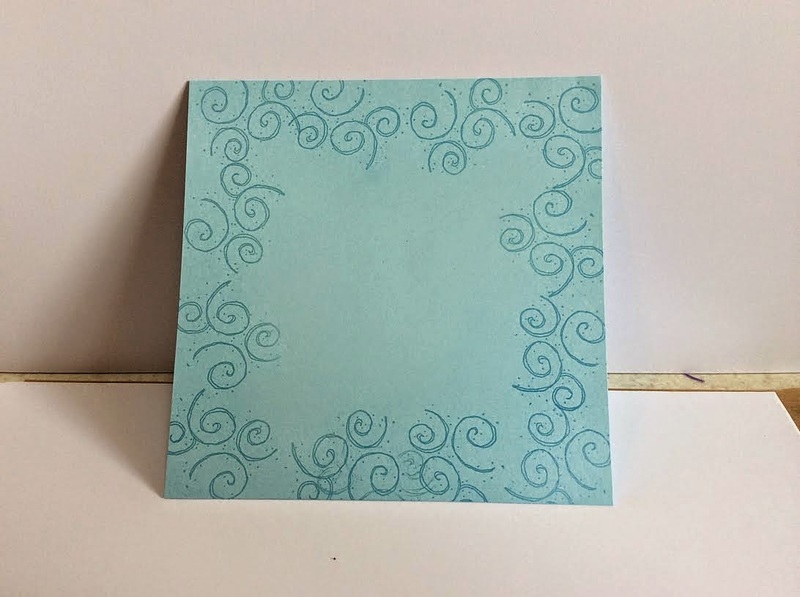 Onto another piece of card stamp the small flourish stamp randomly around the edge using Versamark. Add mica powder to reveal. Matt the layers onto a card blank. Stamp the sentiment from the stamp set into the bottom corner. 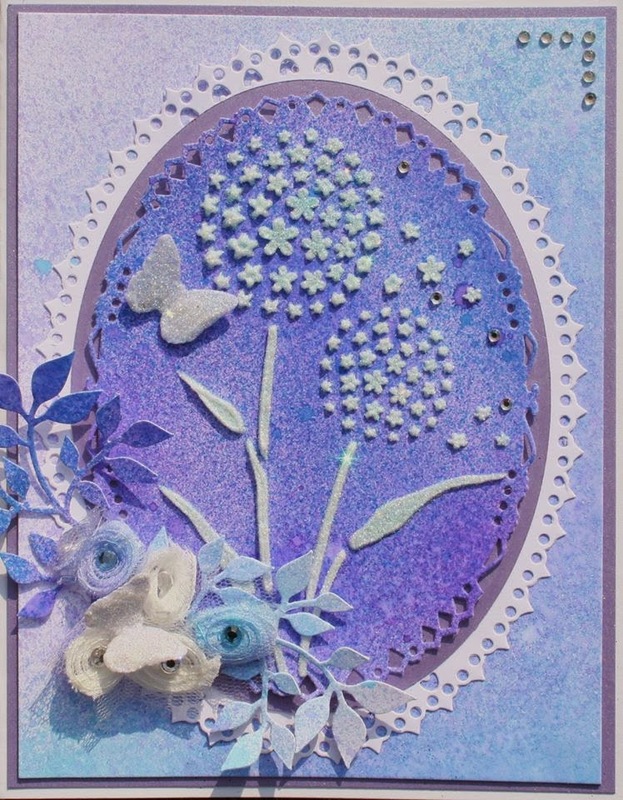 Add some gems and a star embellishment to finish the card. 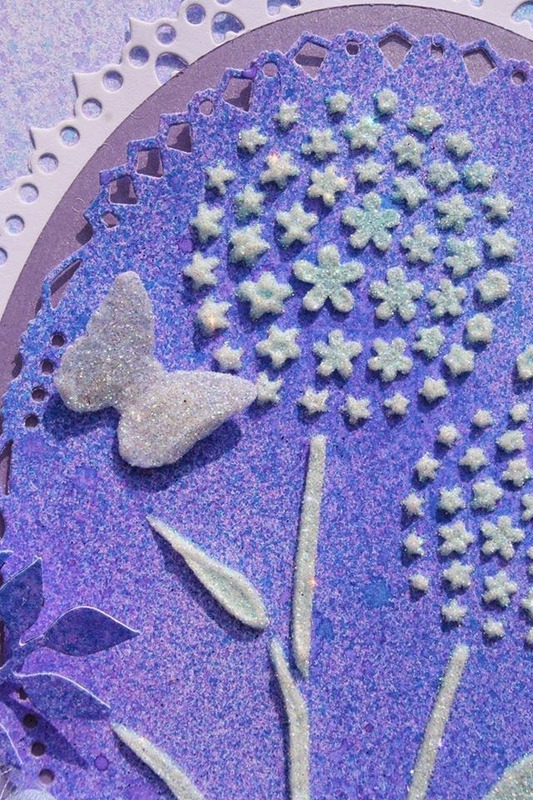 A really quick and easy card and this technique with the mica powders can be used with any of the stamp sets. Today we have a Christmas decoration tutorial by Nicky! I know some of the design team have made a start! Paint the Christmas Charms and Frames with MDF chalk paint. Using red sparkle medium stencilled the Leafy Flourish Stencil onto the frame, then paint on the charms with red paint. 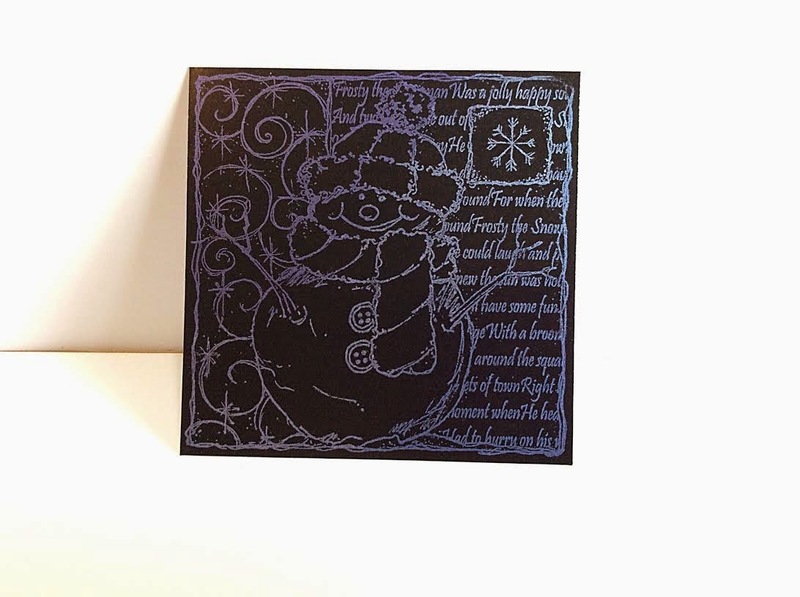 The bird and the star have gilding flakes, the tree and bauble have sparkle medium. Add some string with hot glue on the inside of the frame for the charms to hang. Add the star to the centre of the frame. Here is the completed frame.